Nille, one of Norway’s largest retail chains, has signed on to implement AGR 5 from AGR Nordic A/S to manage their supply chain. The retail chain currently runs 360 stores, adding 10 to 15 new stores each year, and specialises in low-cost, quality products. 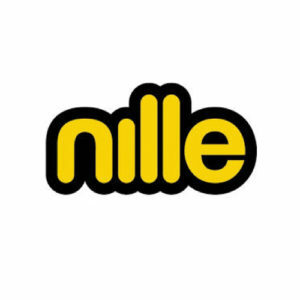 Nille products cover both big and small occasions, from decorations to lights that help to create the perfect atmosphere. From the outset, Nille’s focus was on the AGR team’s flexibility and knowledge to get the right setup on paper and into the scoping of the project. It has been especially important for them to have a solution that can automate as much as possible. AGR 5 does this by means of exception reports, automatic container optimisation and automatic reorder, and it will give employees more time to focus on other important tasks within the business. AGR Nordics web-based Inventory Optimiser and its unique S&OP tool are used by large and medium-sized enterprises to improve service levels and at the same time reducing inventory. Together, with the specially developed Manage-By-Exception report module, the system keeps track of deviations that require focus, and provide a good overview of all-round performance for both users and management. For more information, see www.agrnordic.com or contact us at 7022 7100.